Clean households and gardens lead to a cleaner neighbourhood. Therefore call Blue Heeler Bins today to get Waste Removal Connells Point. You will realize for yourself that we are the best rubbish removal service in Sydney. We have a vast service area in Sydney and our services include Cheap Skip Bins Sydney and Rubbish Removal Sydney. Our cheap skip bins come in various sizes for you to select from, depending on the nature and size of your waste removal task in Connells Point. You can even order a crane bin that will enable you to place your bin in difficult to reach places. You can rest assured that you will get exactly the kind of bin that you ordered, and of the size that you ordered. Blue Heeler Bins has over 20 years’ experience in the waste removal business. Our services cover industrial, residential, deceased estates, renovations, yard clean ups and recyclables. We can provide you with a fast and reliable service as we are a well-established company with all the necessary training, experience and qualifications. However, we have not lost our personalised service throughout all these years as a big company. No job is too big or too small for us. Whatever your waste removal requirement may be in Connells Point, we will take care of it. This is why we can guarantee 100% customer satisfaction with our services. 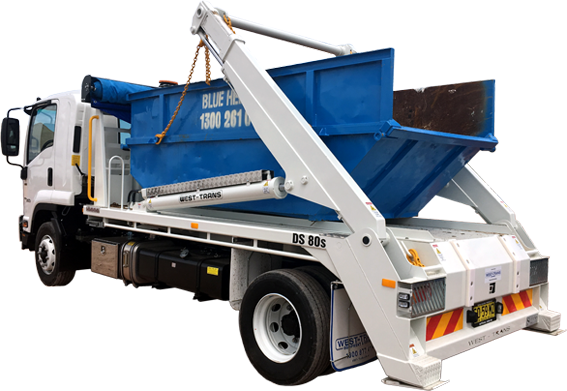 To keep your household and neighbourhood clean with Waste Removal Connells Point, simply contact Blue Heeler Bins on 1300 261 041 or 0418 238 210. You can also send us a message by filling in and submitting our online contact form on our official homepage and we will get back to you promptly. Read our blog for the latest news on our waste removal services.